You have only 47 moves. This level has medium difficulty. 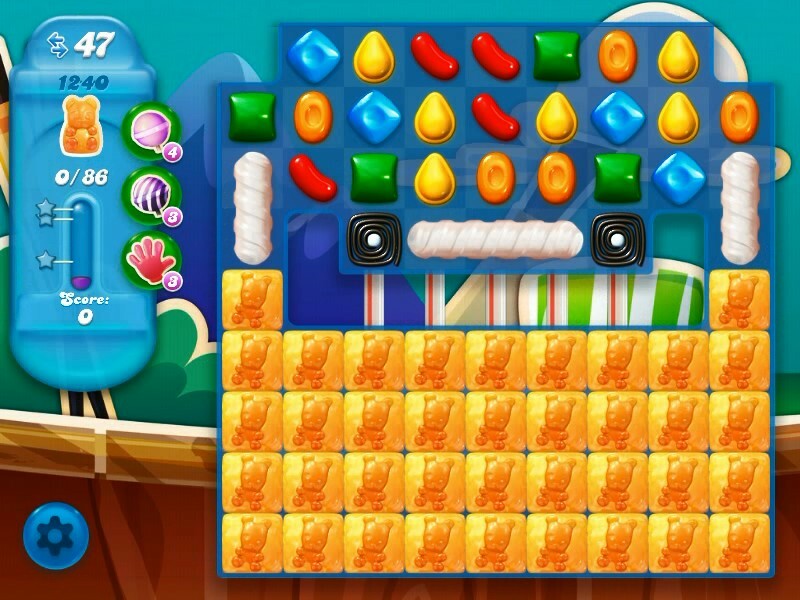 For this level play from top part of the board and make special candy. Combine them with each other to break more blockers or play near to honey blockers to break them. Yeah except since the update the bears just below the first large blocker have been thickened and now take two hits, trapping your pieces and forcing you to waste tons of moves to shoot striped candies through. Any plan now?